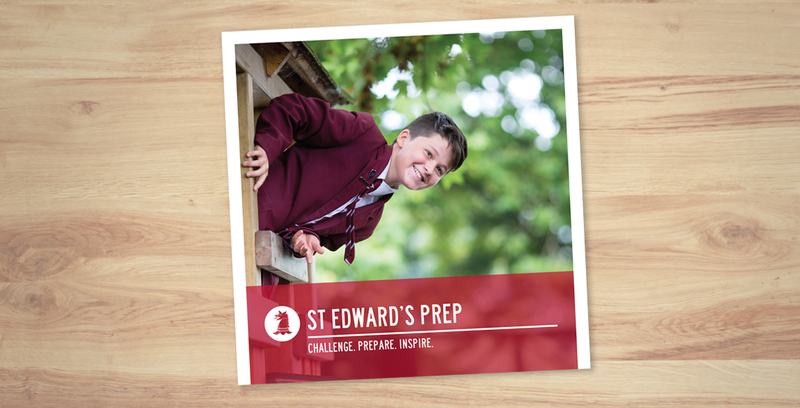 St Edward’s is a friendly prep school, focussed entirely on helping boys to be the very best they can be. 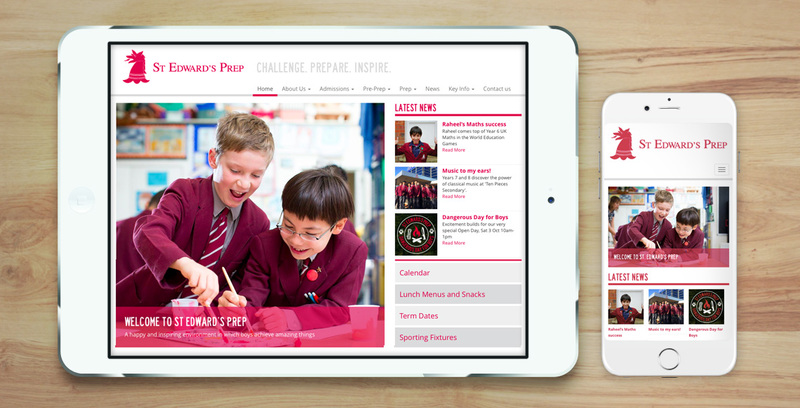 It is an exciting, challenging, fun and inspiring place to be educated and grow up. 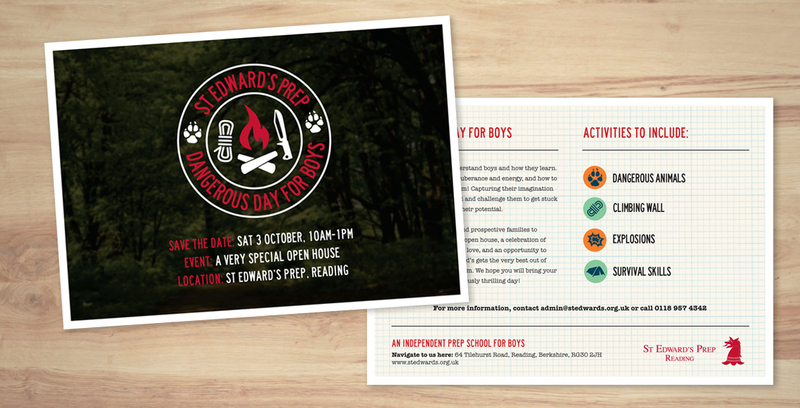 Working closely with the marketing manager, we refreshed the brand, bringing it up to date and making it look professional, contemporary and at the same time, sophisticated. 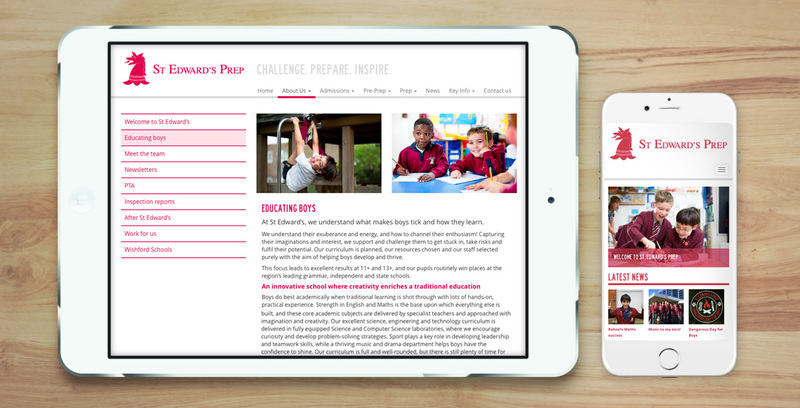 The brand balances the school’s boy-focused, academic edge with a fresh, forward-thinking approach. 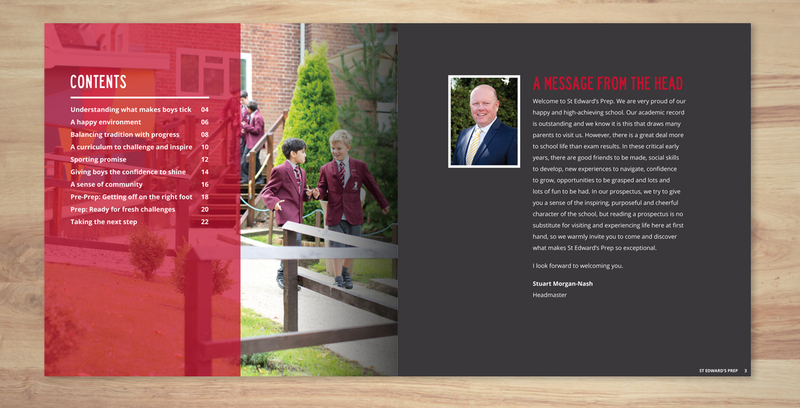 We delivered the brand across a responsive website, yearbook, prospectus, and regular print marketing material.